Hello. 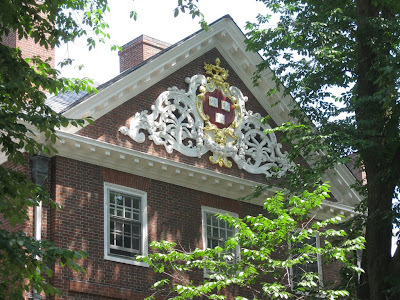 Today's podcast is a summary of a professional development workshop I attended this summer at Harvard University. 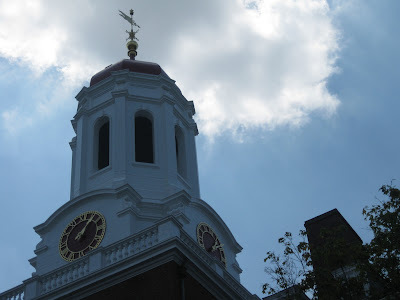 I attended the Project Zero Classroom workshop on the campus of Harvard from July 27 to August 1, 2009. I have recently worked with the educational department of the Smithsonian and I was fortunate to be invited to attend along with staff members from the Smithsonian. It was an excited week full of rich learning experiences. I was curious if a workshop that focused on multiple intelligences would incorporate the essence of the MI or be a standard "sit and get" like so many educational conferences. I was very impressed that Project Zero walked the talk and the organization of the entire workshop was unique and incorporated MI. 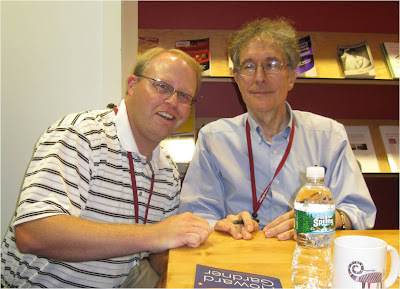 A highlight of the week was listening to Howard Gardner speak on several occasions about his MI theory and the impact his theory has had, and not had, on education in the United States and around the world. I was also thrilled to have an opportunity to speak with him individually at a reception on night later in the week. I asked him specifically about his views on the incorporation of social media and technology in education. He told me he felt it had great potential, if used correctly, to engage students who might otherwise not feel engaged by curriculum in schools. I also was able to get a quick picture with Dr. Gardner when he signed a copy of his book for me. The podcast describes my experiences from the Project Zero Classroom workshop as I sat on the campus afternoon of the last day before I left for home. I have included a couple of pictures from the week with the blog post. 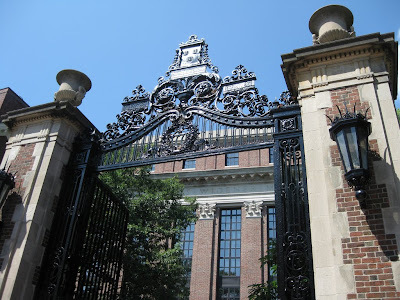 Harvard is such a beautiful and historic campus (Washington was first given command of the Continental Army on the campus) and I took my share of pictures of classic buildings. I have created a Flickr set of pictures from the Harvard campus if anyone is interested. I would love to hear from anyone else who has attended a Project Zero Classroom workshop in the past. I am letting the ideas marinate a little in my head and I'm slowly incorporating some of the concepts and routines into my teaching as a start the new school year. I would love to hear how former participants have incorporated the PZ ideas in their classroom and if they experienced any resistance due to high stakes testing, pressures from administration, etc. Please leave a comment on this blog post if you would like to share your experiences.